Chanukah has its origins rooted during the oppressive regime of Antiochus IV. 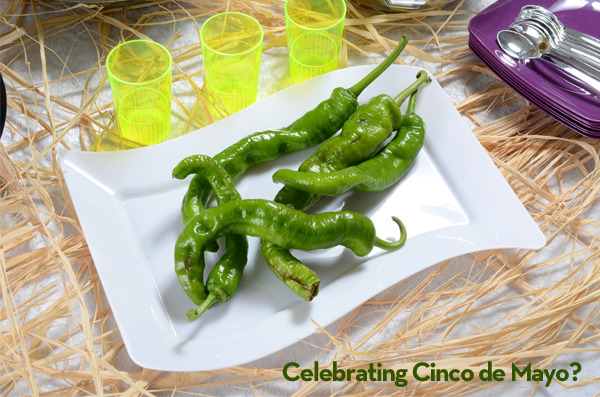 Known as the festival of light, this holiday celebrates the miracle of the candle that had burned for eight days (just enough time for more oil to be prepared), when there was only enough oil to burn for a single night. This holiday is, perhaps, the most well-renowned on the Jewish calendar; with its unique and beautiful nightly ceremony of prayers as each new candle is lit, it is no surprise. This year, Chanukah is taking place from December 16th until the night of December 24th. 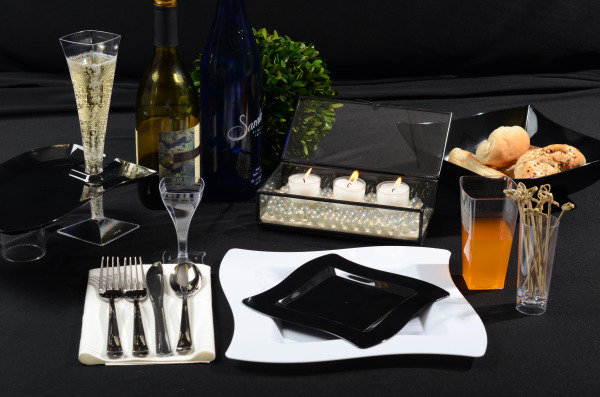 So, with these wonderful days of celebration upon us, let Fineline Settings help make your eight days of rededication fashionable and fun as you serve up the Latkes, play Dreidel, and light the candles with your family and friends! 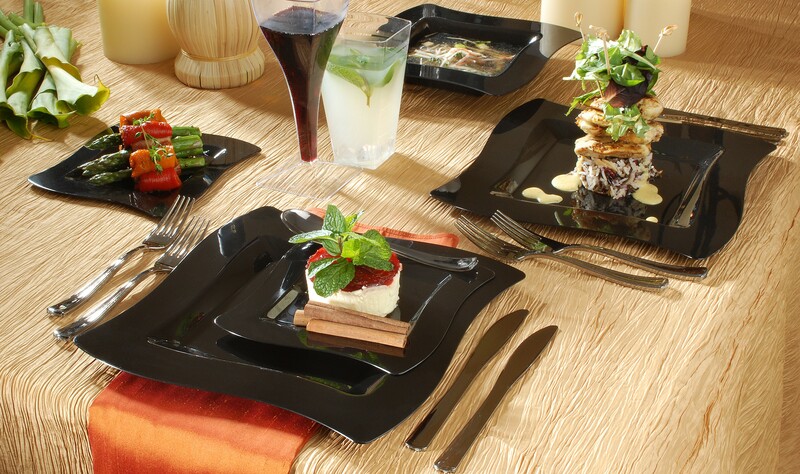 With collections that range from the elegantly simple Savvi Serve, to the exotically chic Wavetrends, no matter what your menu looks like, Fineline Settings’ disposable dinnerware will be there to compliment your style and help you celebrate with our disposable dinnerware. 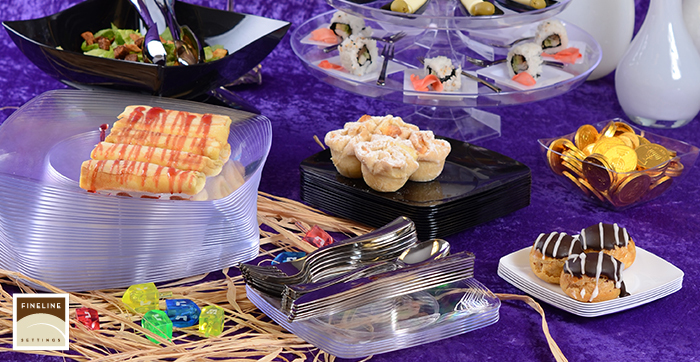 Our selection of high-quality serving utensils or tiny appetizer trays will be the perfect accoutrement to entertain your guests with the ease of disposable polystyrene. For this special holiday, we’ve searched for some of the best Chanukah recipes we could find to help your celebration stay delicious, traditional, and easy so that you can spend as much time as possible with those in your life who truly matter. 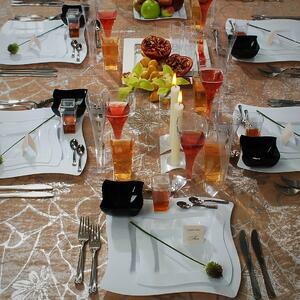 There are a few customary pieces of Chanukah tradition that should always be a part of your celebration. One of these exceptional examples is perhaps the most kid-friendly; we’re talking about “gelt”! 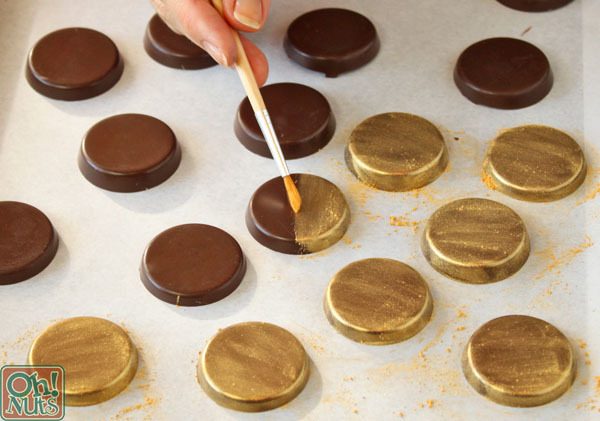 If you do not know what “gelt” is, we’re pleased to share with you that these little treats are chocolate gold coins. Dreidel (a game also deeply rooted in Chanukah tradition) is often incomplete without these little shimmering treasures. Our friends over at OhNuts! Sweet & Crunchy Blog, have been kind enough to share their fantastic Homemade Chanukah Gelt recipe! This recipe is beyond simple and quick, and is a great opportunity to get the kids in the kitchen to help out! 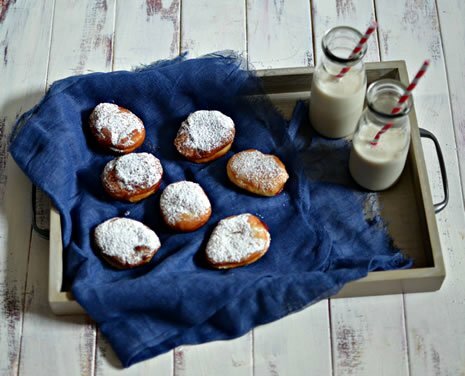 Another delicious staple recipe in the Chanukah tradition is the Sufganiyot (Fried Doughnuts). The Chanukah menus is made up of mostly fried food, due to the significance of oil in the miracle described long ago. Over at Chabad.org, shares their delicious Cranberry Jelly Sufganiyot (Doughnuts) just in time for the holiday. Don’t worry, the idea of trying to whip up doughnuts may seem quite intimidating, but our generous author has provided us with the easy step-by-step instructions that will ensure your sweet treats will come out perfect! If there was a dish that was even more vital than the two we previously listed, it has to be the Latkes! Latkes are fried potato pancakes, and a staple in Chanukah tradition that cannot be overlooked. 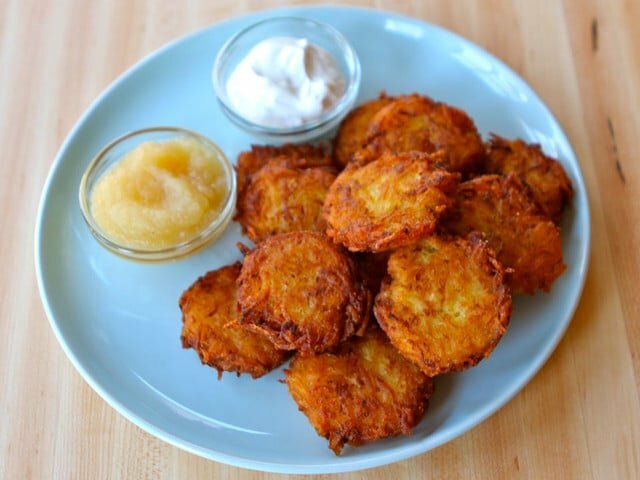 Tori Avey over at her blog, Tori Avey.com is here to help us learn How to Make Crispy Perfect Latkes Every Time! Along with the recipes, Tori shares with us some of the history of Latkes and their role in the Jewish tradition. She also shares alternatives to the potatoes in the recipe, if you so desire! Sure, Chanukah may not be the best holiday for your waistline, but you can’t resist the warm comfort of this holiday that brings together family and fantastic food! 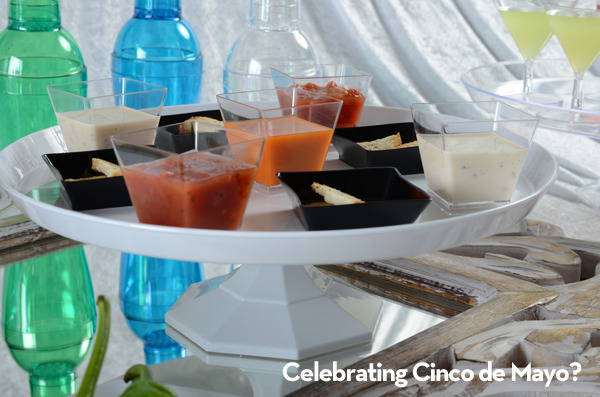 Our products will always be here to support all of your holiday serving needs, and we would love to hear from you as to how you implemented our collections into your celebration this year! It's the most exciting part of the year, for some at least. 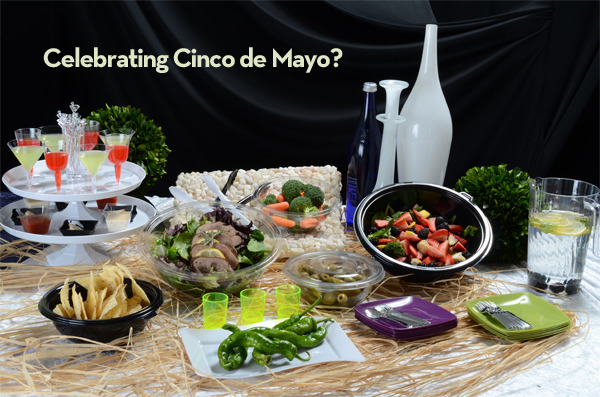 It's the time when you're either shopping or eating. The weather is cold outside and it's cozy and warm inside every home. 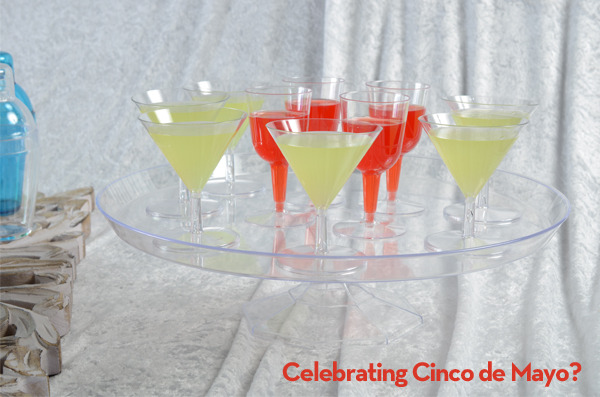 You're prepping your to-do lists, the parties, meals, shopping, gifts, sock stuffing and much more than that, you're constantly thinking of others and everyone but yourself... Let us help a bit! Don’t let this season’s holiday bustle weigh you down! 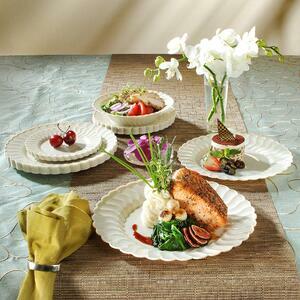 You do a great job cooking all the food that everyone loves and looks forward to, why the cleanup is what we ask? 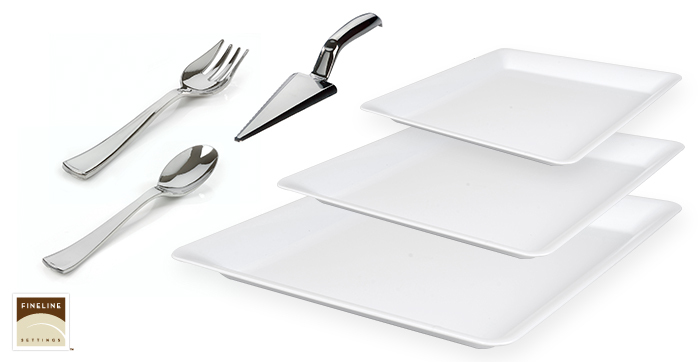 If you’re looking for a convenient, stylish, and high-quality serving set to help make your holiday parties fabulous and easy, then our Costco Holiday Pack is waiting for you on your local Costco shelves! 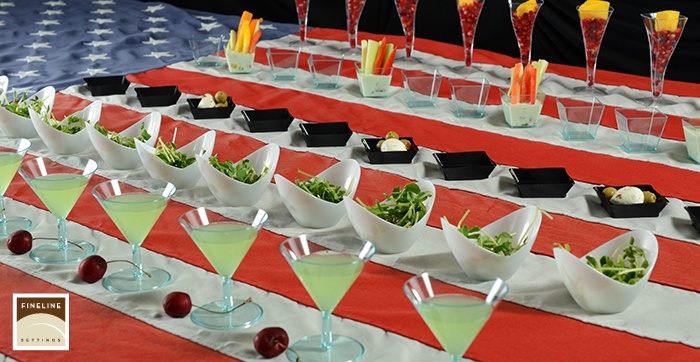 Fineline Settings has partnered up with Costco to bring you the best in disposable serving products.With the quality you have come to expect from Fineline Settings, this full-course serving set will make sure your holiday celebrations are a ringing success! 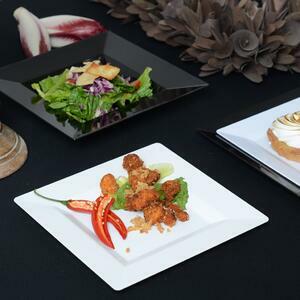 This Holiday season, serve with confidence as you lay out your menu on our classic premium heavyweight white serving trays that’ll handle each course with style. 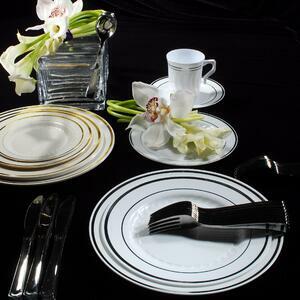 Ring in the New Year while dishing out or in with our Silver Utensils designed with beauty rivalling fine silverware and durability of Heavy-Duty Polystyrene. 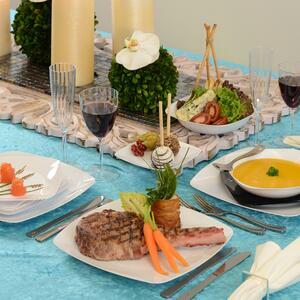 Wheather you're serving a Thanksgiving dinner, or New Year's Eve dinner, make sure you enjoy your holiday events without sparing a second thought to after dinner clean-up! 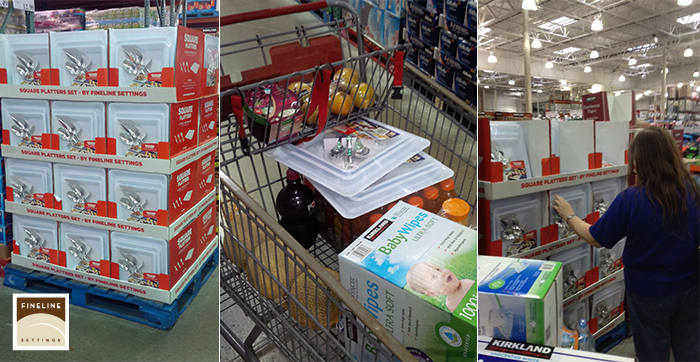 Don’t settle for less this year; make this chilly holiday season the most exciting one yet by stopping by your local Costco to pick up your Costco Holiday Pack today! 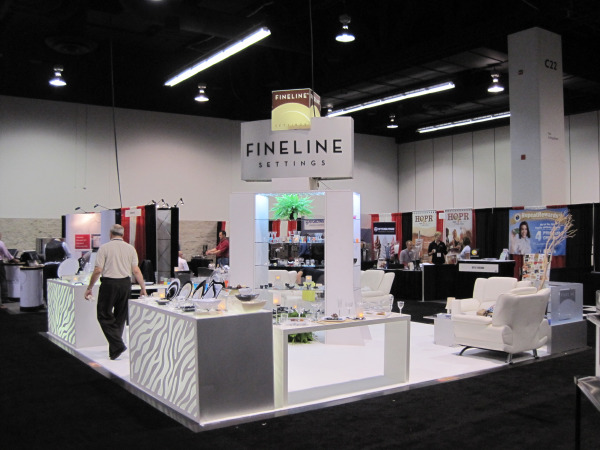 From all of us here at Fineline Settings, we wish you a very happy holiday season!